Asia as a name is ancient. The Greeks were the first to record it for posterity, although it doubtless existed in common use for some time before that. The earliest attribution seems to be by Herodotus (around 440 BC) who was referencing Anatolia - or possibly the Persian empire as a whole - in order to differentiate it from Greece or that other great civilisation, Egypt. The origins of this usage appear to be in a confederacy in western Anatolia known as Assuwa or Assua (Ishuwa in normal usage). Certainly by about 1400-1300 BC this confederacy had already been formed by a number of regional minor states which, collectively, were allied to the Hittite empire dominating Anatolia at that time. The city of Troy (or Wilusa) was a member of this confederacy. The name Assuwa may or may not have survived the great dark age collapse at the end of the thirteenth century BC. This collapse was caused by drought and loss of crops, but it took place amid an international system that was already starting to break down. It gave the Mycenaean Greeks more freedom to colonise western Anatolia in the face of their own collapse on the Greek mainland, and ensured that Mycenaean civilisation survived both there and in Athens. Given this, it's quite likely that the use of Assuwa did survive in Greek usage to denote western Anatolia. In time the name seems to have been used to refer to an increasing amount of Anatolia so that, by the time of Herodotus, it could be used to refer to Anatolia as a whole. Whether or not this usage formed the basis for the modern word 'Asia' and its usage to denote all of the continental land mass to the east of the Ural Mountains and Anatolia is open to debate, although this is the commonly-held opinion. Some modern guesses at the origins of Asia/Assuwa have been proposed, such as using the Aegean root 'Asis', meaning 'muddy, silted', to refer to the eastern coast of the Aegean Sea. Admittedly, this could be the basis for Assuwa even though the Assuwans were Luwian speakers rather than Greek (see the related link, right, for an exploration of Indo-European Daughter Languages: Anatolian). Another claim is that it could derive from the borrowed Semitic root 'Asu' (wasum), meaning 'rising, light' as a reference to the sunrise with the inference that Asia is the land of the sunrise. This option is far less likely to be correct than using Assuwa to refer to ever-increasing areas of Anatolia, and should be dismissed as being somewhat desperate. Instead, a far older word could be the basis for 'Asia' as a name. This option seems to be virtually ignored or, more likely, its relevance has not been realised by many. 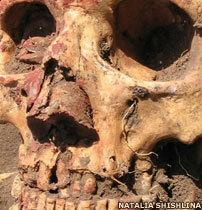 It relates to the ancestors of the Greeks and Luwians, a group of peoples who are now known as Indo-Europeans. As well as spreading westwards into Europe they also headed eastwards from the Pontic-Caspian steppe (to the north of the Black Sea and Caspian Sea) to dominate Central Asia. These Indo-Europeans (IEs) were the most widely ranging ethnic group in ancient times. Due to their existence on the Pontic-Caspian steppe as cattle and horse-raising people, they were quite mobile - a characteristic which they shared with other, later, steppe nomads such as the Turkic and Mongolian peoples. Linguistic analysis has shown that the core IEs began to separate into definite proto languages around 3000 BC, during an expansion phase which is known as the Yamnaya horizon. These proto languages soon became unintelligible to each other, although this fragmenting process excludes the Anatolian branch of IEs who had already headed southwards from the Pontic-Caspian steppe (see the feature, A History of Indo-Europeans, Migrations and Language, for more detail). 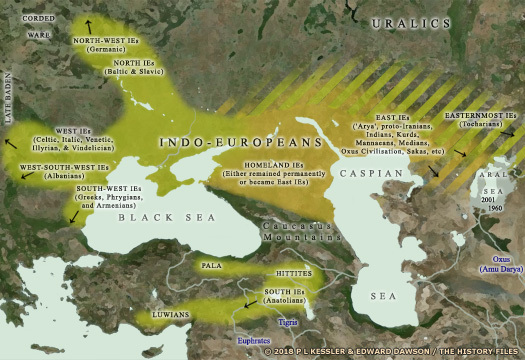 To the north and east of the Caspian steppe was a division of Indo-Europeans which soon established itself - in later terminology - as the Indo-Iranian branch. These Indo-Iranians moved eastwards, displacing earlier tribal populations of foragers with their horse-riding, cattle-herding sophistication. From there they spread out between southern Siberia and Central Asia. 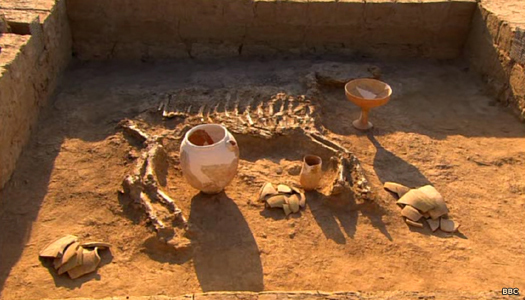 From around 2200-1700 BC they were able to migrate further, entering southern Central Asia and setting themselves up for further migrations towards Iran and India. 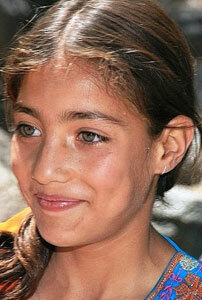 They quickly became the dominant ethnic group across Asia on the western side of the Himalayas. These Indo-Iranians and their later division, the Indo-Ayrans, would become very familiar to the Greeks following the campaigns of Alexander the Great into the farthest depths of the conquered Persian empire in the late fourth century BC. These peoples didn't know themselves as Indo-Iranians, of course. That's a label create by modern scholars to describe them. They would have used an older word, and it is this word which could be suspected as being the basis for 'Asia'. There exists today a very ancient practical philosophy in Zoroastrianism called Asha. In ancient times it went by the name 'Arte' in Iranian (the language of the Indo-Iranians) and 'Rte' in Sanskrit (used by the Indo-Aryans, mainly in India). Traces of this philosophy may possibly be found in German legends of their myth of Mannus and his three sons, one of which appears to be named Hermin or Ermin (Aryaman to Indo-Aryans), and another Istwae. So what do these names or words all have in common - Asia, Ist(wae), Asha, Arte, and Rte? The answer is that they appear to all be forms of the verb 'to be'. German itself, despite being a West Indo-European language group, has some noticeable influences from the East Indo-European Indo-Iranians, but it is only recently that these links have been explored in depth (notably by the History Files itself). Now it can be posited that, at some time during or immediately after the Yamnaya horizon of about 3500-2500 BC, there developed a practical philosophy of daily life and spiritual life whose followers were devoted to the truth as 'what is'. This philosophy would have given its devotees a powerful advantage over their neighbours because they would have made practical, hard-nosed decisions rather than decisions based on fantasy or belief. The Upanishads are a collection of texts of a religious and philosophical nature, written in India probably between about 800-500 BC during a time at which Indian society started to question the traditional Vedic religious order. 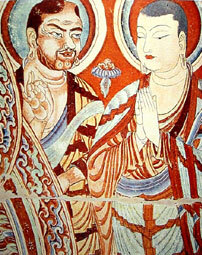 Whether or not the people of Assuwa in western Anatolia were devotees of this philosophy is entirely unknown. As they were around a good thousand years after the end of the Yamnaya horizon it may be quite hard to determine this possibility anyway. But the people remaining along the northern coast of the Black Sea - still Indo-European cousins of the Greeks and Luwians - almost certainly did follow this philosophy, as did their ancestors. One of their mythic 'lords' ('ahura' in Old Iranian, 'asura' in Sanskrit) is 'aryaman'. The word does not mean 'noble' or 'gentleman' (in the meaning of a lordly person or someone of superior status), although it was later extended to mean that. Instead it referred to the 'man of the truth of what is'. This is perhaps a somewhat tricky concept to grasp at first, but remember that 'what is' was an acceptance of real life, of the facts on the ground, of the situation as it existed for these cattle-herding pastoralists of the steppe. The 'truth of what is' literally was that - 'this is how things are'. A 'man of the truth of what is' was someone who realised and accepted this philosophy of life. This made him an aryaman. In today's English, the people of 'what is' could perhaps be equated to practical people who dismiss 'airy-fairy', head-in-the-clouds, woolly-minded thinking in favour of hard-nosed realism, and who then go onto upload their own videos to YouTube and build up a following of like-minded individuals who practice the same philosophy. The same philosophy survives under one of its devolved branches as part of Zoroastrianism. It also survives as a habit amongst Hindus and Germans - the latter may be a surprising addition here until one remembers the East IE influences on the early Germanic language. DNA evidence supports this, showing a small percentage of German ancestry apparently coming from eastern nomads. For the moment, however, the current genetic evidence can be open to question. There is no doubt that the Y-DNA haplogroup R1a is present in Germans, but it could have come from Balts or Slavs instead of Indo-Iranian nomads (the Balts and Slavs also have an East IE heritage). On the other hand, the mythological evidence is clear enough to support this contention. The names of all three sons of the mythical Mannus point to the Indo-Iranian language group. Even the Germanic languages themselves point to this. Who else besides Indo-Iranians and Germanic speakers use the word 'man' to refer to a man? There are traces in other IE language groups of course, such as in Latin, but in Latin it is very distorted, indicating a much older connection. The Latin words 'humanus' and 'homo' have an origin in 'man', but this origin would seem to be a much older one, which predated the emergence of 'aryaman' and its associated philosophy. Different tribes of Indo-Iranians used whatever verb form of 'to be' was most applicable. Some - largely Indo-Iranians - used the 'as-' stem that we find in 'Asia', and in German this was 'is-' or 'ist-'. Others - largely Indo-Aryans - used the 'art-' or 'rt-' stem. In English 'art' is an older form of the verb 'are', another form of the verb 'to be'. While this has clearly survived in Germanic form, its older Indo-Iranian form is harder to discern. But it would seem entirely reasonable to claim that 'Asia' is the land of the 'As' (the Æsir or Os), the practical Indo-European people of 'what is', who later became legends to Germanic speakers and were deified by them. If one were to translate 'Asia' into German one would write 'Isten', with 'ist' being the stem plus the plural suffix '-en'. The initial 'a' of 'as-' becomes an 'i' in German, and it does in other words when comparing German languages to Old Iranian. Why is there a 't' on the end of 'ist'? Because that was a common addition in the verb 'to be', seen in 'art' in Middle English, and in 'est' in Latin. If one searches the Central Asia section of this very website one will find a number of peoples named after the verb 'to be'. Asia indeed. The land of the people of 'what is'. 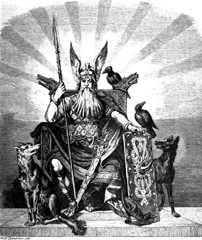 See the feature, Tribal Warfare of the Gods in Scandinavia for an exploration of the Asgard as a development of the 'As', and Original Indo-European Names for more discussion about Asuras, Os, and Æsir. Maps and text copyright © Edward Dawson & P L Kessler. An original feature for the History Files.